A smart platform for consumers and hospitals/clinics to measure vital signs through a basic webcam. There is a need for health screenings everywhere. Whether it be in hospital situations or for a person in their home, a health screening takes time, equipment, personnel, and travel, despite the fact that they are very important to monitoring one's health. This is a problem that Vitalic strives to solve. Using innovative technology, Vitalic is able to accurately calculate and deliver a person's vital signs on a desktop or mobile device through the sole use of simple webcam, thus offering an effective, cheap, and lightweight solution for consumers, hospitals, and clinics to measure vital signs. Vitalic is able to calculate the user's heart rate, blood pressure, breathing rate, cholesterol levels, stress levels, body temperature, and mood all from a short video of their face. This is done by using Fast Fourier Transformations and Independent Component Analysis (ICA) to focus on the change of wavelengths in a region of interest (being the user's forehead for this project). This change of wavelengths signifies the subtle change in skin color caused by blood flowing in and out of the face: the visual representation of one's heart rate. 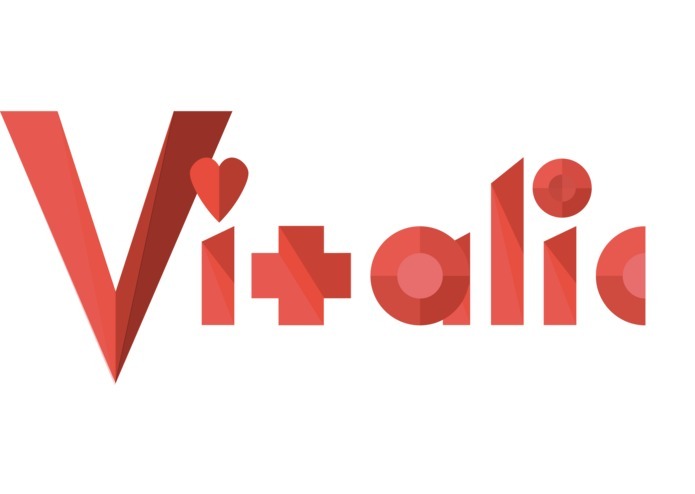 Using this calculated heart rate, Vitalic is able to calculate a multitude of other vital signs which are typically associated with health screenings, and allows users to share their results and track their progression. Vitalic was built using a Vue.js front-end, and Node.js and Python (Django) backends. Being able to accurately and reliably calculate the user's heart rate from a video input proved to be a great challenge for us, as the result was largely dependent on ambient factors such as light and background settings. These variables caused us to have an array of differing calculated heart rate values from a single video; however, by pruning our algorithm and using standard deviation to reliably select the most accurate calculated heart rate values, we were able to effectively determine the user's heart rate. We are proud that we have created an online health-screening platform which offers a cheaper, easier, faster, and more accessible way for both consumers and industries to ensure the health of themselves, their patients, and their loved ones. We learned a lot about programming, teamwork, and not surprisingly, biology. We plan to continue working on Vitalic, polishing the User Interface, improving the accuracy of its algorithms, adding new features, and hopefully, bringing it to market. I designed the backend and wrote the algorithms for heart-rate and other features. Furthermore, I helped a lot with the debugging and improving the design architecture on the frontend. I worked on the frontend development. My main job is to design and build nice and friendly user interfaces. I also have to communicate with the backend developers to understand their data structure and apis, so I could add them to the frontend application.